You Found Him Here First! Idiot Box Art's February 2019 Bart Simpson piece was inspired by the comeback kid hip hop artist Soulja Boy. Rock'n his infamous Gucci head band, along with Jordan 1 Retro High Off-White's hand-painted Soulja Bart retailing at $225 sold out in a matter of days. Soulja Bart was first hand-cut on wood, painted with high quality acrylic and finally finished with a high gloss resin. 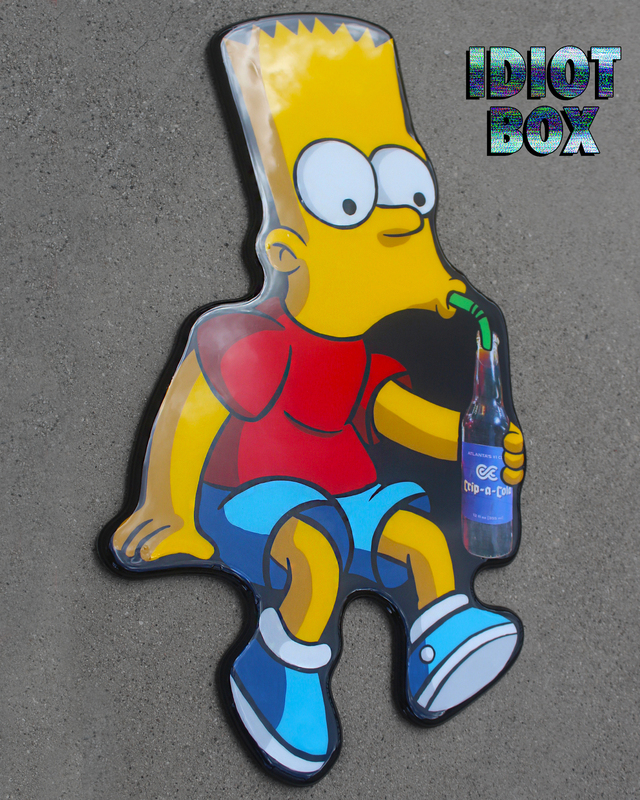 This Bart is sold out, but Idiot Box Art, hip to the latest trends is always coming out with more, their current hot seller, featured Bart sip'n on some Crip-A-Cola.